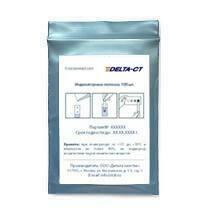 Dichlorantine test strips | ООО "Дельта хим-тэк"
1,3-Dichloro-5,5-dimethylhydantoin (dichlorantine) is intended for disinfection and cleaning of surfaces of all kinds (rooms, furniture, appliances, tools, utensils, sanitary equipment, etc. ); for disinfection, pre-sterilization cleaning, as well as combined processes of disinfection and pre-sterilization cleaning of medical instruments (including surgical, dental, etc.) from corrosion-resistant metals. The test is suitable to check the presence of effective chlorine levels in dichlorantine based disinfectants.